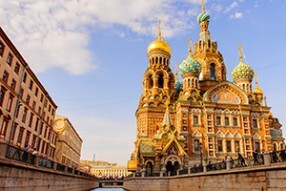 Visit amazing St Petersburg visa-free as well as the most beautiful nothern capitals of Europe on a cruise starting from only £470! City tour with an English speaking guide incuded in the price! 20% off! Book your Two Capitals tour today! 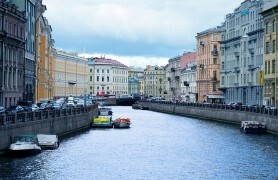 Don't miss your chance to see Moscow and St Petersburg with a great discount! 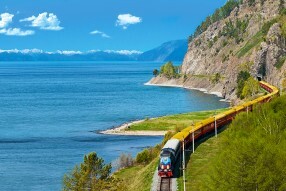 Explore one of the most beautiful regions of Russia with its amazing lakes and mountains. Try rafting and live in local tourist bases! So helpful and patient - sorted visas, sorted hotels, sorted flights. Thank you Dagmara. Having just returned from Russia i would just like to take this opportunity to say a big thank you again for your assistance with my visa. I had no problems getting in and out of Russia and had a wonderful time. I booked a holiday to Moscow and Saint Petersburg with Dagamara. From start to finish the service was great. All tour guides were on time. Spoke great English and were great. Many thanks for making the holiday go to plan – we loved Moscow !!! 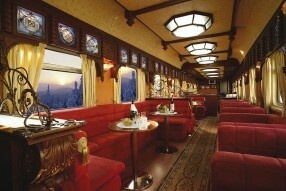 I have returned from a wonderful holiday on the Trans-Siberian railway and everything has gone very well. There were no problems and we were well looked after. I'm very happy. Thank you for all your kindness and for all that you have done. Dear Dagmara, I just wanted to say Mr & Mrs Woods had a wonderful time in Moscow and they wanted you to know their guide Vera was superb. Thank you for all you did especially the tour on the first day, that was excellent. We wanted to thank you again for organising such a wonderful trip for us. We had a spectacular time! Our two guides (Eugenia in Moscow and Olga in St Petersburg) were both outstanding. So knowledgeable, professional, friendly and open, full of interesting side-tales to everything we saw, delighted to answer all our questions, and such a pleasure to spend our time with. Their knowledge of the art-work, artifacts and historical buildings we saw (and passed in the car) and social history was spectacular. So much fascinating and insightful information. Our drivers were excellent and treated us like royalty! The hotels were excellent. The Budapest in particular was extremely friendly. An initial confusion re whether dinner was included was soon resolved and then the delicious food at dinner time just kept on coming 😉 Such a homely yet professional place. The Ambassador was quite different in style, perhaps a little more international in style. But again we were made to feel at home straight away - and Olga the Guest Relations Manager was particularly keen to make sure our visit was an enjoyable success - which it was! Again delicious food. The itinerary was brilliant. We visited all the major sights and our guides pointed us in good directions for making the most of our free time. From blackcurrant Russian ice-cream at Gum to the Russian Museum in St Petersburg. The trips to the ballet you organised were a brilliant success - helped also by the proximity of the hotels to the venues and the excellent seats you organised for us! We thoroughly enjoyed both performances, and were extremely fortunate at the Bolshoi to be there on on the 75th birthday of the original lead male dancer of Ivan the Terrible! Couldn't believe our luck in sharing the Bolshoi's celebration of his special day. 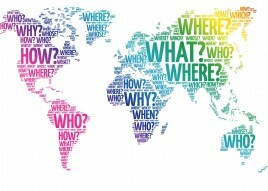 We can't speak too highly of the experience you gave us, and are telling all our friends that if they are thinking of Russia, they should get in contact with you. We're already looking forward to browsing your other itineraries having got a real taste for Russia and are really keen to go back! So thank you so much again for opening up another part of the world to us in such a splendid way. One last thing, just wanted to confirm you're based at the Holland Park address at the bottom of your emails. This is just a note to thank you once again for the excellent arrangements you made for our recent trip to Russia. Everything went exactly as planned and we were treated very kindly by everyone we met including some complete strangers in the street. We enjoyed our trip thanks to you and your colleagues. 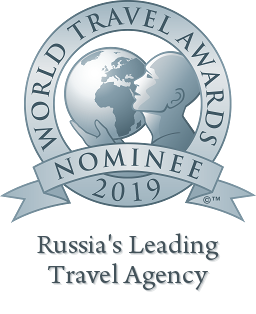 I have found IntoRussia excellent, their staff were very helpful and I quickly received my colleague’s tourist voucher, I can’t rate them highly enough. One of their staff Alena was specifically very helpful with all aspects of the process and was quick to answer and help with any questions I had. We had a fantastic time, loved all of the sightseeing, had masses of excellent food and on the whole it worked pretty smoothly. The Peter hotel in Moscow was superb, Suzdal was comfortable but limited (as expected), the Kemplinski was very nice. That a twin meant two small beds was a shame as we both had a double in the Peter. All were superbly located though and that was key given that we wanted to explore a bit after the tours and go out for dinner. The guides were very good. The Moscow one was exceptionally helpful and friendly. Her English was okay but taking her off topic or asking questions could be tricky. The St Petersburg one spoke very good English. I downloaded my c.900 photos yesterday so I think I’ll be busy for another week going through and sorting those out! Lots of great memories though. In general, the feedback was that the programme worked very well, we really enjoyed it and were very happy (aside from Alice’s battles with hotel receptions!). I would not have wanted to do it without the drivers and guides because the signage on roads and metros is limited for English speakers and the people are not immediately hugely friendly. It would have been a much more stressful trip and given that we were fitting a lot in, wouldn’t have worked anything like as well if we had tried to move ourselves around. I want to report back on our fabulous and unforgettable 5* Luxury Russian holiday in Moscow and St Petersburg last month. It was a fantastic three days of excursions with Irina in Moscow and with Dasha in St Petersburg for four days of architectural amazement; both guides were informative and made each tour a very personal experience as they were so knowledgable, organised and friendlytowards us. The drivers, too, were reliable and all connections/transfers went smoothly. Irina even accompanied us to the station and matched us to our seats on the Sapsan train to make sure that nothing went wrong and we were most appreciative of her attentiveness. Our two hotels were excellent and breakfasts a true feast for the eye and stomach. We were given an upgrade at The Astoria and felt extra lucky once again. You must be proud to offer such wonderful accommodation and quality service which make this particular holiday an unforgettable experience. I would recommend your travel company without the slightest hesitation. This visa support services is really great. I use it for a couple of years and found it very professional, sufficient, punctual and friendly. Without any disappointments! You are a star and I am so happy and know I can thank you for having got a visa. Thank you so much for all the help, we could not have got this without that excellent service from you. Now I am going to have a holiday of a lifetime , visiting your country . I have dreamt about this for many years, since my parents came back all excited and impressed from visiting the Soviet Union and later Russia. Thank you.. You deserve a big hug. Thank you Alena for your efficiency and problem solving skill sets. If it had been a British travel agents, this would have been my problem to solve. Alborz Mountains—home to Iran’s highest peaks. You experience spectacular views: from magical green forests and rolling red hills, to glittering blue lagoons patterned with poplars and reeds. This is a part of the world few visitors get to see. Over the past few years, Anadyr has witnessed many improvements, and now residents and guests alike can enjoy comfortable restaurants, hotels, and modern supermarkets. 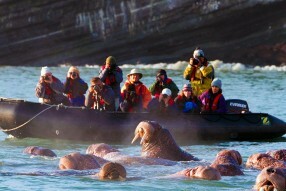 Anadyr Bay is normally the first or last stop of Chukotka cruises and offers an excellent chance of seeing Beluga Whales. The spectacular Northern Lights also known as the aurora borealis, “the north wind of the dawn”, is something that everybody should witness at least once in their lives. A world-wide known treasure house displaying an exquisite collection of more than 4000 unique Russian artefacts including the world famous Faberge egg collection and royal carriages which once transported the great tsars and their families. The grandiose desert city of Ashgabat, capital of Turkmenistan, is a dreamscape in white marble, an oasis of opulence on a terrain. Situated between the Kara Kum Desert and the Kopet Dag mountain range, Ashgabat has a population of about 400,000. Astrakhan is an atmospheric provincial capital. Built in 1558 after Ivan the Terrible defeated the local Tatar khanate, Astrakhan is the successor of two imperial capitals, Saray and Itil, key stops for the Silk Route and sea trade. With the completion of the impressive Moscow-Volga Canal in 1937, the capital was finally linked to the great system of waterways that runs from St Petersburg on the Gulf of Finland all the way to Astrakhan on the Caspian Sea. As a result, it is possible today to follow the entire trade route along the Volga, from Moscow all the way to Astrakhan, the ancient capital of the Tatars. The Russian cruise port of Atlasov Island is part of the Sakhalin Oblast. As the northernmost island within the Kuril Islands, it has the highest volcano, named Vulkan Alaid, it stands about 7,674 feet. Atlasov Island is uninhabited by humans and is a place of unique beauty. At the beautiful Avachinskaya Bay you can view the nesting place of many of Petropavlovsk sea birds at Grandmother’s Rock Island and Starichkov Island in the open Pacific Ocean. Nearby is the majestic Mutnovsky volcano. The charming town of Azov is a former Turkish fortress rich in history. Here you can see beautiful old buildings, including an impressive and well maintained building of the former city council. Bogolubovo was the first stone town of the Northern Russia and is a UNESCO Heritage Sight. Being a beautiful gem of the Golden Ring, it's Church of Intercession is a pearl of Russian architecture on the banks of the Nerl River. Founded 150 years after one of the most famous battles in history the Borodino Museum is not to be missed. It presents a collection of weapons, ammunition and uniforms. The centre piece of the exposition is a breathtaking painting by an outstanding Russian battle artist Franz Roubaud - the round canvas painting, 115m x 15m. Standing in the middle of this panorama you experience the battle during the 1812 war between Russia and Napoleon’s Grand Army. The epic battle on 7 September 1812 was one of the war’s decisive developments which took lives of more than 67,000 men. After spine-breaking Borodino Napoleon entered Moscow which was earlier burned to the ground by Russians who retreated deeper in the country, exhausting Napoleon's army. The Russian army led by General Kutuzov then chased the French all the way to Paris. Interactive displays of the museum shed more light on the progress of the brutal battle and the Napoleonic wars. A breathtaking bay makes a perfect stop during Kamchatka adventure and expedition cruises. Steller’s Sea Eagles are known to nest nearby. 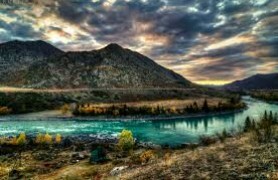 Along the Koryak Coast there are many beautiful fiords (bukhtas or bays) and none are more beautiful than Bukhta Natalii. This fiord has two smaller fiords that drain into it from the south. Hike from one bay to another whilst surrounded by the magnificent mountain landscapes and tundra vegetation. Bukhta Russkaya is a bay in Kamchatka and is nearby to Mys Vkhodnoy and Mys Kekurnyy. Along with stunning nature and numerous species of wildlife there are the remains of a Gulag to explore. The north-eastern most point of the Eurasian continent, it is sometimes possible to see the coast of America from this remote and lonely settlement. A few nautical miles to the west of Cape Dezhnev you can visit Uelen Village, the most north-eastern village in Russia. The population is predominantly Chukchi and the village is one of the largest centres for traditional Chukchi and Inuit art in the world. This coastline is rich in marine mammals and in particular walruses. Good numbers of Gray Whales often congregate here too. To the north of Cape Navarin is Keyngypilgyn Lagoon inhabited with waterfowl and waders including Emperor Geese, Greater White-fronted Geese, Brent Geese, Whooper Swan, King Eiders, Red Knots and Aleutian Terns. Museums exposition is devoted to a history of domestic aircraft and astronautics from the moment of origin to nowadays. Known as the Pearl on the Volga, Cheboksary is the capital of the Chuvash Republic. The city offers some beautiful board walks and beaches along the river as well as a man-made bay. The city's cultural life is diverse: there is an Opera-Ballet Theatre, a Philharmonic Orchestra, and numerous other theatres along with several museums, most importantly the only Russian Beer Museum. In Cheboksary there are 2 beer manufacturers which is very unique in Russia. This largely unknown part of the coast comprises deep forested fiords where you can see brown bears, red fox, mountain sheep and Kamchatka marmots. In the many lagoons and shallow bays there is a vast array of birdlife including Tundra Bean Goose, Steller’s Eider, Great Knot, Long-tailed Stint, Gyrfalcon, Siberian Accentor and Asian Rosy Finch. This area is also a stronghold of the Kittlitz’s Murrelet. Darvaza's famous gas burning crater is a spectacular sight best seen at night. Located in the middle of the Kara Kum desert where the area is rich in natural gas, the 70 metre wide crater is known by the locals as the 'Door to Hell' and has been burning for over 40 years. Discover Crescent Lake, hidden amongst the towering sand dunes and it has sustained life in this region for millennia. In the small oasis city of Dunhuang visit the fascinating Magao Thousand Buddha Cave Complex. This impressive site contains almost 500 grottoes, carved between 700 and 1,700 years ago. Inside there is an amazing collection of beautiful sculptures and murals depicting the evolution of Buddhist religious art over 1,000 years. The town of Egvekinot on the shores of Kresta Bay only a few miles south of the Arctic Circle was built by Gulag prisoners who were forced to construct a road to the mine. The town has an excellent museum and allows you to experience the tundra habitat which dominates much of Chukotka. Visit the first great monastery of Mongolia, Erdene Zuu, which at one point was home to 1,000 monks and is now a fascinating museum steeped in history. The Gobi Desert is a vast, arid region in northern China and southern Mongolia. While travelling on board of your train, sit back and enjoy its magnificent dunes, mountains and, if lucky, spot some of its rare inhabitants such as snow leopards and Bactrian camels. On the Gorely volcano hike past flowing lava and cinder fields until you reach craters which house stunning acid volcanic lakes. Gori is one of the oldest cities in Georgia, founded in the 7th century AD as Tontio. Joseph Stalin, the Soviet leader, was born here in 1879 and he spent his childhood years in the city and later (1888-94) studied at its theological seminary. The small house where Stalin was born is preserved under a canopy outside the huge columned palace-like building that houses the Stalin Museum. To the side of the museum is Stalin’s private railway carriage. The small village of Goritsy is home to Europe’s largest monastery, the 14th Century Kirillov-Belozersky Monastery. Founded in 1397 by Saint Cyril it was the holy place where tsars were seeking God's forgiveness. Many priceless relics remain in the monastery, including some of the earliest Russian religious manuscripts and 500 year old icons. The village of Goritsy is home to only 600 inhabitants who live in traditional log houses decorated with intricate wooden carvings and live through fishing and farming. One of the world's seven wonders, the Great Wall of China runs like a 5000 miles ribbon through the country. China's first emperor, Qin, started the construction of the wall in the 3rd century BC and it took 1800 years to build. It is one of the oldest, largest, and most celebrated achievements of human ingenuity. Isfahan is one of the most magnificent cities of the 17th century. Standing in the middle of the vast Imam Square, the second-largest public space on Earth and one of its most beautiful, it’s easy to understand how this UNESCO World Heritage site became known as image of the world by its many admirers. Explore the city, tempted by the charm and wares of the merchants and gold market. Be sure not to miss the Si-o-seh Pol at dusk, with this iconic bridge’s 33 arches glowing gold and spanning the Zayandeh River. Jiaohe Ancient City is one of the best preserved ancient cities in China, the ruins of the buildings are divided into temples, civilian dwellings and government offices, workshops and residential houses in the streets are still visible and time there is time spent in a world long disappeared. In Jiayugaun you can visit the west end of the Great Wall of China, the Jiayuguan Pass. It is one of the largest and most intact passes of the Great Wall. It was an important military fortress and also a vital traffic fort along the Silk Road, the world's oldest trading route, connecting China, Central Asia and Europe. Standing in the endless desert with rolling mountains as its backdrop, this isolated pass will take you back to the desolation and loneliness of frontier life in ancient times. At Karaginskiy Island you will encounter rare ‘forests’ and richness of the local flora. Kashgar is an oasis city in Xinjiang and is the westernmost Chinese city, located near the border with Kyrgyzstan, Tajikistan, Afghanistan, and Pakistan. Its Sunday Bazaar is extraordinary, partly due to the exoticism of the produce for sale, partly because it is the only real place to shop in an area the size of western Europe. The population of Kashgar is reputedly swelled by 100,000 every Sunday for this market, but due to the isolated location of the city, only a small fraction of these visitors are foreigners and therefore visiting it is a very unique experience. Situated on the River Volga, Kazan is the capital of Tatarstan famous for its rich tapestry of history and culture. 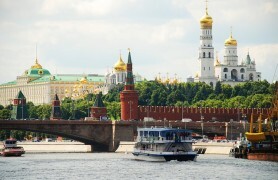 One of its highlights is the Kremlin Fortress, a UNESCO World Heritage Site. Within the walls of this ancient citadel is a stunning mosque and onion-domed cathedral. This provincial capital boasts a collection of awe-inspiring sights. Look up and be dazzled by the geometric splendour of the Ganjali Khan Mosque’s ceiling. Shop the city’s busy bazaar—the perfect place for artisan Persian rugs. After haggling for the best price like a local, relax with a traditional cup of tea and the local delicacy kolompeh, a delicious date-filled pastry. Khor Virap Church is the holy place of imprisonment of St. Gregory the Illuminator accused by Armenian king of preaching Christianity. He stayed in the dungeon for 13 years. The church allows for the most spectacular view of the gorgeous biblical mountain Ararat. Khustain Nuruu National Park is an area abundant with wildlife including the rare Przewalski horse which was recently successfully reintroduced into the wild. Spend the night in a ger camp under an ocean of stars. This small town is located north east in Northern Norway, close to the Russian border and is the capital of the Barents Region. Among popular tourist activities are snow hotels under the northern lights, dog sledding or fishing for king crabs along the Russian border. Kizhi Museum Reserve is one of Russia’s unmissable attractions and by far the most visited of Lake Onega’s 1600+ islands. It is home to dozens of the 18th- and 19th-century wooden buildings which were moved here from Karelian villages during Soviet times. The true marvel is the wooden Church of the Transfiguration (the church of twenty-two wooden domes) built in 1714 without the use of a single nail which has survived the challenges of Russian winters and revolution. Discover the legacy of the 2013 volcanic eruption in Kluchevskaya where fresh lava flows. You can contemplate the majestic beauty of the volcano and see natural stone sculptures from where the lava has hardened. The beautiful Kostroma lies on the great Russian river, the Volga, and is one of gems of the Golden Ring. It's charm of the ancient trading city can still be enjoyed as well as its major historical and architectural complexes, monasteries and churches. Kozyrevsk settlement, located on the shores of the Kamchatka River where you can take a walk to one of the oldest villages in Kamchatka and stock up on souvenirs in the local shop. A visit to the viewing platform will give you breathtaking panoramic views of the settlement, Kamchatka river and, of course, volcanoes. It's a treat to stay over in a log cabin and relax in a classic Russian banya. Krasnaya Polyana, the host of Winter Olympics 2014, is a beautiful ski resort located 75 km from Sochi, at 600 meters above sea level, surrounded by picturesque mountains of the Main Caucasus mountain range and has a unique mountain-temperate maritime climate. Krasnaya Polyana offers wonderful holiday opportunities not only for skiers in winter, but also in summer with its quiet, clean air, trekking, rafting, fishing, safari, cycling, horse riding and paragliding opportunities. Air temperature varies from -5-12 ºC at night and 0 +5 ºC during the day in winter, and +18-20 ºC in summer. Solid snow on the lower slopes (at an altitude of 550-600 meters) is set to mid-January, and by March reaches 2 m or more. Skiing season lasts from late December until the second half of April. Kunashir is the largest island in the Kuril chain. It offers access to the Kurilsky Reserve where you can explore an extensive area of woodland, where there are some good walks and birding. Set 1900m above sea level, the Lake Sevan is the largest lake in the Caucasus and one of the largest freshwater high-altitude lakes in the world. Lena Pillars Nature Park is marked by spectacular rock pillars that reach a height of approximately 100 m along the banks of the Lena River in the central part of the Sakha Republic (Yakutia). They were produced by the region’s extreme continental climate with an annual temperature range of almost 100 degrees Celsius - from –60 °C in winter to +40 °C in summer. Lhasa is located in a small basin surrounded by mountains, and it literally means "place of the gods". At an altitude of around 11,975ft (3,650m) it is one of the highest cities in the world; it is also the traditional seat of the Dalai Lama and the holiest centre of Tibet with over a thousand years of cultural and spiritual history. Listvyanka is located about 66 km from Irkutsk. The location of the village at the source of the Angara River flowing out of Lake Baikal, the proximity to Asia and the Russian Far East gave rise to its development as an important point in the trade and transport routes. A shipyard, abandoned nowadays, in the beginning of the XIX century was the most important business in Listvyanka, which brought up a whole generation of shipbuilders and sailors. The name Magadan is synonymous with Stalin’s oppressive Gulags or prisons but there is very little evidence now of this town’s tragic past. The local museum has an excellent display about the Gulags but the most poignant reminder is the ‘Mask of Sorrow’ a large monument on a hill overlooking the town. The infamous Kolyma Highway or the ‘Road of Bones’ connects Magadan with Irkutsk and ultimately greater Russia. Today Magadan is a town of about 100,000 people. Fishing is important and gold mining is experiencing a revival. All four clusters of Magadansky Reserve are separated from each other, rather hard-to-reach and have no settlements or constant transport roads. Each cluster has its own distinctive features in locality appearance, climate conditions, composition of flora and fauna. It protects hundreds of animals, among which are Brown Bear and Snow Sheep. On the North shore of Lake Ladoga just beyond the archipelago monastery of Valaam, lies Mandrogi village. It was established in the 18th century and was hardly touched by time until being completely destroyed during the World War II. It was only in 1996 that it was decided to rebuild this Karelian village to the smallest detail. Today Mandrogi is a beautiful living museum featuring examples of Russia's stunning wooden architecture and traditional craftsmanship, as well as the head-spinning Vodka Museum with 2800 different types of Russia’s most notorious drink. Village visitors enjoy demonstrations of wood carving, lacework, pottery, horse-riding and archery. Iran’s second city Mashhad is one of the seven holy sites of Shiite Islam. Tour the majestic shrine of Imam Reza, an important pilgrimage site. Decorated with the finest marbles and topped with a golden dome and minarets, this complex is a wonder to behold. 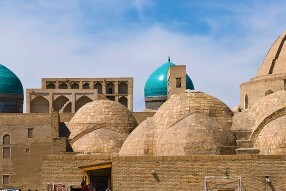 The magnificent Mausoleum of Khawaja Ahmed Yasawi is the vast, brightly tiled testament to power and beauty that UNESCO have made a World Heritage site and the Kazakhs revere as their national icon. In the small oasis city of Dunhuang there is the fascinating Mogao Thousand Buddha Cave Complex. This impressive site contains almost 500 grottoes, carved between 700 and 1,700 years ago. Inside we will see an amazing collection of beautiful sculptures and murals depicting the evolution of Buddhist religious art over this 1,000 year period. Monastery of Haghpat, built between the 10th and 14th centuries. Its beautiful location in dense wood in the gorges of two small mountain rivers make an atmospheric backdrop for St. Astvatsatsin Church, its most important building. Discover the treasures that lie in wait for you behind the walls of Moscow’s most famous landmark: the almighty Kremlin! Home to a myriad of the city’s most exquisite cathedrals and monuments, as well as the official residence of President Putin himself, the Kremlin remains a political landmark in Russia and is visited by thousands of tourists every year. Murmansk is located halfway between Moscow and the North Pole, and 120 miles north of the Arctic Circle. As the main city of the Kola Peninsula, it started as a tiny settlement and Arctic trading post. In 1916, under pressure from the British to establish a support port, Murmansk was founded. Thanks to the influence of the Gulf Stream, the port is ice-free year-round and is the homeport to Russia’s nuclear-powered icebreakers. Take a unique chance to get acquainted with the wonderful world of the Nenets people. Wear traditional clothing, learn about their beliefs and customs, visit their sacred places, and even discover how to ice fish and harness the reindeer team. This city is a new capital of the Don Cossacks. Here you can find one of the biggest Orthodox cathedrals around the world – the Ascension Cathedral, memorial house of Mitrofan Grekov, a major Russian-Soviet battle painter, beautiful triumph arcs and the Museum of Wine. This town has featured in Russian Far East history since the earliest Cossack explorers came from the west. Vitus Bering travelled overland from St Petersburg to Okhotsk in 1725 and again 1733 and travelled to Kamchatka and beyond. Today Okhotsk is the centre of fishing in the region. The port exports significant quantities of salmon and other fish. Visit the town, landing by Zodiac up the river near the town centre. The local people are generous and welcoming and will provide entertainment in the town centre and a cultural display. Onekotan is a volcanic island located near the northern end of the Kurils and is part of the Ring of Fire that encircles the Pacific Ocean. Onekotan island is unique because it has a water-filled caldera at both the northern and the southern ends of the island. The more prominent caldera at the southern end of the island has an island within the island and is known as the Tao-Rusyr Caldera. The highest elevation on Onekotan Island is Krenitsyn volcano which rises to 1325 meters above sea level. Possible species include Brown Dipper, Arctic Warbler, Japanese Robin, Pine Grosbeak and Japanese Grey Bunting. An ancient city of the Persian kings. Go to Pasargadae, the capital created by Cyrus the Great in the 6th century BC. His simple tomb watches over the remnants of this long-gone civilization. Persepolis, the ceremonial center eventually ransacked by Alexander the Great. Pass huge stone gates carved with mythical creatures, stand amid palatial ruins—Apadana Palace and the Naqsh-e-Rostam necropolis—or simply wander through the streets of antiquity, taking in the immensity of this cultural wonder. Petrozavodsk stretched along the western shore of Lake Onega – the second largest lake in Europe. It is one of the major cultural and industrial centres of North-West Russia and is the capital of the Republic of Karelia. It is an important town for engineering, transport and scientific research and is one of the most ecologically clean cities in Russia. Petropavlovsk-Kamchatsky is a main touristic base where adventure tours and expeditions to Kamchatka begin from. The city offers stunning views as it is located on the shores of Avacha bay among five volcanoes: two active ones, Avachinsky and Koryaksky, smoking Mutnovsky and Gorely, and Vilyuchinsky. Petrozavodsk stretched along the western shore of Lake Onega – the second largest lake in Europe. It is one the major cultural and industrial centres of North-West Russia and is the capital of the Republic of Karelia. The Tolbachik massif is composed of two overlapping, but morphologically dissimilar volcanoes - Ostry Tolbachik and Plosky Tolbachik, two of the highest in Kamchatka. The awe-inspiring view of the formation is guaranteed to take your breath away. Ples (Plyos) is a town and the administrative center of Privolzhsky District of Ivanovo Oblast, Russia, situated on the right bank of the Volga River some 70 kilometers (43 mi) north-east of Ivanovo. The town was founded in 1410 by Vasili I as a border post of Muscovy. Take a walk along the cobbled streets of this hospitable place; go up the Cathedral Hill, breathe the fresh air and take a look around. You will understand why famous artists have been coming here in search of inspiration that further led to masterpieces. Rayen Castel is situated in Kerman Province south-west of the city of Rayen and is considered the biggest earthen structure of Kerman province after Bam Citadel. Rayen displays all the architectural elements of a deserted citadel. It was inhabited until 150 years ago and, although believed to be between 500 and 1,000 years old, may in fact have foundations from the pre-Islamic Sassanid era. The capital of Latvia, Riga, is a wonderful place for a city break and is buzzing with life and cultural opportunities. With its 700,000 inhabitants, it's the largest city in the Baltic States. Throughout its history Riga was part of many empires and each of those has left its mark on the city. The cobbled streets of its charming Old Town will impress you with its stunning gothic, baroque, classic and art nouveau examples. Rostov-on-Don is southern Russia’s largest and most cosmopolitan city. It is pleasant stopover on the way to Sochi and the Black Sea coast. Highlights of the city include Gorky Park, the Quay and the old open air market. The State Russian Museum is a treasure chest of art located in one of the most beautiful squares in St Petersburg. It was the first state museum of Russian fine arts in the country and is a major hub of culture and education. The museum contains countless masterpieces and unique collections of art, from traditional icon paintings to experimental Avant Garde and socialist realism. A must visit for any art lover! Sakhalin Island is located in the east of Russia, to the north of and quite near Japan. It is comparable in size to the European countries of Austria, Switzerland or Ireland. Nature reserves, protected by the state, comprise 11.8% of the region's area. 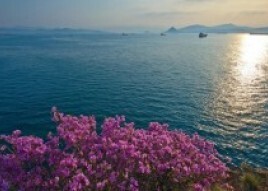 Tourists will be enchanted by the solemn cliffs, descending steeply to the waves, the waterfalls and numerous bird colonies inhabiting the area around the island’s small rocky islets, the remnants of the Japanese paths that criss-cross the whole island, and the legends about the island’s history. 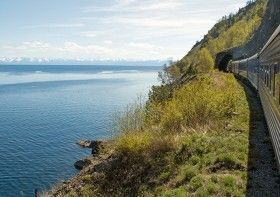 Travelling along the island, visitors find themselves in different climatic zones, passing from the wilderness of the taiga to subtropical forests, from the mossy tundra to the jungles of giant plants. A considerable part of the territory is covered with mountains. Salekhard is the closest city to the Polar Circle. Highlights include a visit to the Obdorsk Jail and the Church of St Peter and Paul. The city is large and very important port with deep historical background. Samara is located at the confluence of two rivers: here the Samara River flows into the Volga River. Well-developed cities of the past were often built where rivers merge, because it was easier to protect them and to trade successfully. Samara is a fusion of old trade town with well-preserved buildings, the features of Soviet period and the ones of present time. Historical center of Samara has remarkable architecture: Samara's Gorky Drama Theater is a unique teremok-building in Russian style; the House of merchant Kurlina is an example of Samara’s art nouveau; Lutheran Church of St. George and Roman Catholic Church are of gothic style. The city was initially founded in the 16th century as a fortress to protect the southern districts of the Russian Empire. Saratov is the place where Yuri Gagarin the first man in space, has started his career, and has done his first air-flight. There is a museum dedicated to Gagarin and his life. 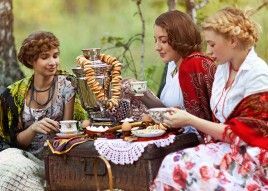 Saratov has a rich cultural life. Among its most famous sites are: the Conservatoire designed in a Neo-Gothic style; the Drama Theatre that is one of the oldest theatres in Russia; the Radischev Art Museum with more than 20,000 exhibits. 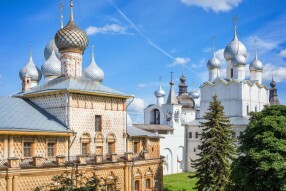 Sergiev Posad, home to one of the most beautiful monasteries in Russia, is the historical and spiritual centre of the Russian Orthodox Church. Shanghai is the most influential economic, financial, international trade and cultural center in East China. It offers its visitors the perfect blend of cultures, the modern and the traditional, and the western and the oriental, guarantying a truly memorable stay. The Pearl of the Black Sea, Sochi is the largest summer and winter resort of Russia. In 2014 it received a big investment injection to host Winter Olympic games which brought its infrastructure to top level. Sochi mountainous coastline, sand beaches, 33 waterfalls, beautiful sunny days, great skiing resort and vibrant nightlife offers great experiences all year round.